How physically strenuous is the trip? There are no difficult climbs nor excessively long walks on most of our trips. In certain areas of older cities we cannot always park the motorcoach immediately next to the historic attraction, so some walking is required. However, since these tours were originally designed with WWII veterans as guests, there is nothing that is overly taxing. For most tours, we can arrange for a fold up wheelchair to be on the bus as an option if needed. Yes, but please speak to the office directly as you will be required to arrive in time for the start of the tour. Yes: a deposit of $300 per person ($500 per person for the Iwo Jima tour); 90 days prior to the tour 50% is due; and 45 days prior to the tour the balance is due. The deposit is refundable up to 90 days prior to the tour, minus a $50 admin fee. We prefer to limit our tours to a maximum of 35 travelers. All tours have a minimum number, and certain tours will run with 16-20 guests. Please call us with any questions you have. What are the typical accommodations and rooming arrangements? We book standard rooms in three- and four-star hotels. Rooms are reserved as follows: single- one person, one bed; double- two people, one bed; or twin- two people, two beds. In Europe, there are no king-sized beds. Can we fit three people in a room? We have triple-accommodation rooms only for two adults and a child. There will only be two beds in a room. These rooms, especially in Europe, cannot accommodate three adults. 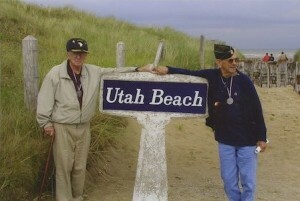 We have travelers of all ages, ranging from students to Veterans of WWII. Is there a limit on the amount of luggage we can take?